September 01, 2008, performed solo at the Musicians' Own Series 2008 Recital / Charmian Gadd and Friends at the Lindfield Uniting Church. The concert was organised by Ms. Charmian Gadd, the Honorary Artistic Director and Artistic Advisor of the Australian String Academy. August 31 2008, participated in the McDonald's Performing Arts Challenge 2008 achieving First Place in the Open event, Classical Guitar. Presented by the Sydney Eisteddfod, the competition was adjudicated by Classical guitarist John Couch and sponsored by Karin & Gareth Koch and The Sydney Classical Guitar Society. Highly commended ~ Morgan Haselden, Katherine Dinale, Eun-Jae Lee, Zane Banks, Daniel Nistico, Sam Gray. August 30 2008, performed solo in a guitar recital at the Sydney Conservatorium of Music / Recital Hall East; this was part of Sydney Uni Live. August 23 2008, performed solo at the Rising Stars Concert for the Open Academy at Recital Hall East / Sydney Conservatorium. The concert was organised by the Head of Young Academy, Ms. Joy Lee and it featured many talented young artists. August 13 2008, performed solo as part of the Lunchbreak Concert in Verbrugghen Hall at the Sydney Conservatorium of Music. The program featured the Conservatorium Guitar Ensemble directed by Classical Guitarist and teacher Mr. Raffaele Agostino. August 02 2008, performed solo at the Rising Stars Concert for the Open Academy at Recital Hall East / Sydney Conservatorium. The concert was organised by the Head of Young Academy, Ms. Joy Lee and it featured many talented young artists. Piano accompanigment provided by Associate Artist Mr. Paul Myers. July 23 2008, performed solo at the St. James Anglican Church as part of the Wednesday Lunchtime Concerts organised by Ms. Isobel Ferrier. The event also featured classical guitarists Zane Banks and Jared Mallitt from the Sydney Conservatorium of Music. June 11 2008, performed solo at the St. James Anglican Church as part of the Wednesday Lunchtime Concerts organised by Ms. Isobel Ferrier. The event was baptised as Classical Guitar Trio which also featured classical guitarists Morgan Haselden and Will Henderson from the Sydney Conservatorium of Music. June 2008, participated in a performance workshop at the Sydney Conservatorium High School conducted by the High School Principal, Dr Robert Curry. May 2008, participated in a performance workshop at the Sydney Conservatorium High School conducted by the High School Principal, Dr Robert Curry. April 30 2008, Performed solo at Martin Place Plaza as part of musical event organised by Mr. Richard Mew, our Geography Teacher, for the Conservatorium High School Students. April 2008, auditioned for 2MBS 102.5FM ?Younger Performers? March 2008, participated in a performance workshop at the Sydney Conservatorium High School conducted by Lecturer and Classical Guitarist Mr. Gregory Pikler. March 2008, participated in a student soloist concert at the Sydney Conservatorium High School. February 2008, participated in a performance workshop at the Sydney Conservatorium High School conducted by the High School Principal, Dr Robert Curry. September 2007, accepted offer of placement to the Sydney Conservatorium High School 2008. August 2007, auditioned for the Sydney Conservatorium High School. Adjudicator: Lecturer and Classical Guitarist Mr. Gregory Pikler. May 2007, performed in a solo concert for competition participants as part of the Internationales Pfingstseminar Koblenz Guitar Festival in Koblenz, Germany. May 2007, a private lesson with Der Meistergitarrist Hubert Käppel as part of the Internationales Pfingstseminar Koblenz Guitar Festival in Koblenz, Germany. May 2007, a private lesson with Russian Classical Guitarist Irina Kulikova. May 2007, participated in a masterclass with Der Meistergitarrist Hubert K?ppel as part of the Internationales Pfingstseminar Koblenz Guitar Festival in Koblenz, Germany. May 2007, participated in a masterclass with Jason Vieaux as part of the Internationales Pfingstseminar Koblenz Guitar Festival in Koblenz, Germany. May 2007, participated in Round One of the International Koblenz Guitar Competition "Hubert Käppel". May 2007, participated in a masterclass with Brazillian Classical Guitarist Fabio Zanon as part of the Internationales Pfingstseminar Koblenz Guitar Festival in Koblenz, Germany. May 2007, a private lesson with Peter Katona from the Katona Twins. May 2007, participated in the Preliminary Round of Heinsberg International Guitar Festival & Competition / Heinsberg, Germany. November 2006, awarded a Pass with Honours (A) in the AMEB Eighth Grade examination / Practical component. October 2006, performed at the "Spring Soiree" concert organised by the Friends of the Sydney Cultural Council, featuring outstanding and entertaining artists from the 2006 McDonald's Performing Arts Challenge. The concert was hosted by Dr. Tom & Mrs Christine Wenkart. October 15, 2006, a live broadcast from 2MBS 102.5FM, as part of the ?Even Younger Performers? program. October 2006, awarded a Pass with Honours (A) in the AMEB Seventh Grade examination / Practical component. September 2006, a performance as part of the Studio 4 Music annual students concert at the Parramatta Town Hall. August 2006, auditioned for 2MBS 102.5FM ?Even Younger Performers? August 2006, participated in the McDonald?s Performing Arts Challenge in the Open event (Adjudicated by Ms. Janet Agustino). 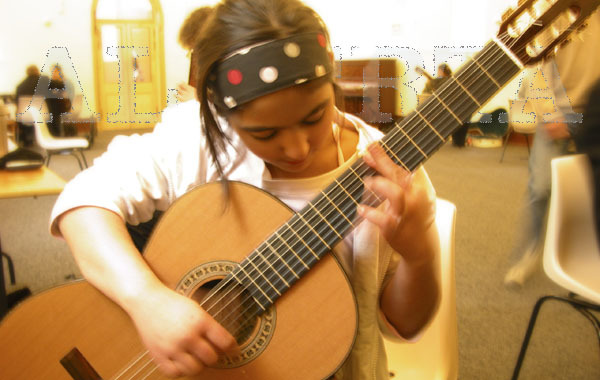 June 2006, awarded a first in the Classical Guitar Solo 12/U, second in the 16/U and a Highly Commended in the open at the Inner West Eisteddfod (Co-ordinated by Mr. Mathew Arthur and Adjudicated by Mr. Richard Charlton). May 2006, awarded a Pass with Honours (A) in the AMEB Sixth Grade examination / Practical component. November 2005, awarded a Pass with Honours (A) in the AMEB Fifth Grade examination / Practical component. August 2005, awarded a Pass with Honours (A) in the AMEB First Grade Theory of Music examination. September 2005, on-air radio interview with Mr. John Berechet from 2RDJ 81.5FM. September 2005, Gerard Suttons interviewed me for the Parramatta Sun following my win of the McDonald?s Performing Arts Challenge 16/U (The Sydney Cultural Council released winners names to local media). September 2005, participated in the McDonald's Performing Arts Challenge 2005 in both the 16/U and the Open events, with a first prize in the 16/U (Adjudicated by Classical guitarist Craig Ogden). August 2005, a concert performance as part of the Sydney International Grammar School (IGS) annual strings concert. August 2005, participated in the McDonald's Performing Arts Challenge 2005 / Secondary School, String Ensemble as a soloist with the Sydney International Grammar School (IGS) Edwards Ensemble conducted by Mr. Wayne Chang and achieving a highly commended. June 2005, awarded a second in the 12 years & under, second in the 16 years & under and a Highly Commended in the open at the Inner West Eisteddfod (Co-ordinated by Mr. Mathew Arthur and Adjudicated by Mr. Phillip Moran). May 2005, awarded a Pass with Honours (A) in the AMEB Fourth Grade examination / Practical component. December 2004, a XMAS concert performance as part of the Studio 4 Music annual students concert. August 2004, participated in the McDonald’s Performing Arts Challenge in both the 16/U and the Open events (Adjudicated by Classical guitarist / Composer Richard Charlton). August 2004, performed in a day long event at the City of Penrith Eisteddfod (Adjudicated by Mr. Ian Brooks). August 2004, awarded a second place at the Ryde Eisteddfod / Open Instrumental Section. July 2004, invited by Ms. Michelle Blythe (Classical guitar teacher / Performer) for a 1/2 hour recital at the Tara Anglican School for Girls at North Parramatta. May 2004, awarded a Pass with Honours (A) in the AMEB Second Grade examination / Practical component. March 2004, a concert performance at the Dover Hall, Mowll Anglican Retirement Village at Castle Hill, organised through the Wesley Uniting Church "Showcase on Tour" (Co-ordinated by Ms. Samantha Bartholomeusz). December 2003, a XMAS concert performance as part of the Studio 4 Music annual students concert. November 2003, awarded a High Distinction (A+) in the AMEB First Grade examination. September 2003, and after attending a master class at the Sydney Conservatorium of Music conducted by the Czech Classical guitarist Pavel Steidl, I offered to play for him Tarrega's Recuerdos de la Alhambra. I was eight years old at the time. July 2003, performed at my first McDonald’s Performing Arts Challenge in both the 16/U and Open events and received a Highly Commended in the 16/U (Adjudicated by Composer / Classical guitarist / Artist Phillip Houghton). June 2003, awarded a Highly Commended at the Inner West Eisteddfod in both the 16/U and Open events (Co-ordinated by Mr. Mathew Arthur / My Guitar School - FiveDock and adjudicated by classical guitarist and teacher Ken Burns). June 2003, a concert performance with the Wesley Uniting Church Showcase (Co-ordinated by Ms. Samantha Bartholomeusz). June 2003, joined the Sydney Classical Guitar Society at Crows Nest and started to perform on a monthly basis (Christopher Keane - President / Raffaele Agostino - Artistic Director). December 2002, a concert performance part of the Studio 4 Music annual students concert. November 2002, a concert performance "Cafe Swizz Soiree" at the Swithins Anglican Church, Pymble (Co-ordinated by Ms. Dorothy Sercombe). November 2002, awarded a Pass with Honours (A) in the AMEB Preliminary Grade examination / Practical component. July 2002, a concert performance "Best of Showcase" with the Wesley Uniting Church Showcase (Co-ordinated by Ms. Samantha Bartholomeusz). March 2002, a concert performance with the Wesley Uniting Church Showcase (Co-ordinated by Ms. Samantha Bartholomeusz). April 2000, My classic guitar and music lessons started in April 2000 with Mr. Alfred Alexander (Classical guitarist / Teacher at Studio 4 Music, North Parramatta). August 1998, For my 3rd birthday, amongst other things, I had asked for a guitar. So my parents took me to Venue Music in Parramatta and I chose a small guitar. I played on this guitar for almost two years learning and memorising a lot of the pieces from the books I had. I was born in August 1995, Sydney Australia.